Like a little crunch in your salad? Brussels sprouts are such a perfect side or salad all on their own, and it doesn’t take much to make them stand out. 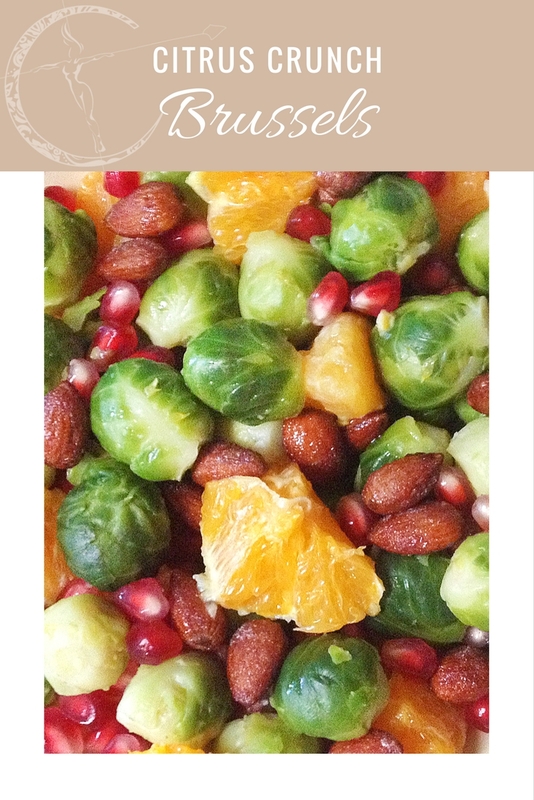 These glazed citrus brussels will brighten your holiday table! 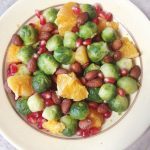 I usually sauté or roast my brussels, but steaming them can be so easy! I do miss the satisfying crunch when I make them this way though. No worries- easily replaceable with some nuts and pomegranates! This dish works best if you use small brussels, otherwise you should cut them in half (but that adds prep time). I also had some pomegranate arils already on hand. As much as I love them, it does take forever to de-seed those big beauties! All you really need to do to make these citrus brussels is prep a speedy little glaze to drizzle on top while they steam. Start by filling a pot with water and insert the steamer container with your sprouts. Cover and boil for about 6 minutes or so. While they cook mix together some orange juice and agave to create the citrus glaze. For extra juiciness I also peeled an orange and cubed up the wedges. When done transfer the greens in to a bowl and mix in some almonds and the pomegranate arils. Drizzle with the sauce to coat! 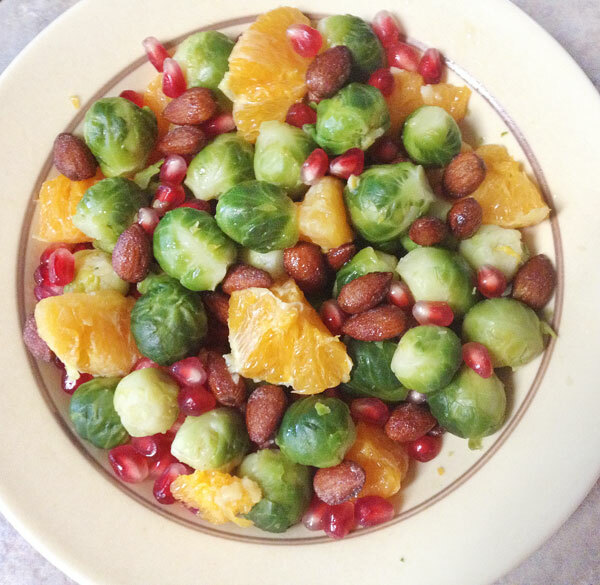 Brussels sprouts with oranges, almonds and pomegranates. Place brussels in a steamer with boiling water. Cover and cook for about 6 minutes or so. When done transfer the greens in to a bowl and mix in orange wedges, some almonds and the pomegranate arils. Drizzle with orange juice and agave mixture to coat. I love that this simple dish that can be a meal, side or snack! Another brussels salad that I put together can be found here. If you like quick and healthy then you must bring it in to your kitchen! As an extra perk you get to add another homemade dressing to your cooking skills.